The phrase “Christmas rush” can illicit feelings of excitement or worry, depending on how well you’re prepared. Seasonal traffic is different for every business, every year. For some businesses Christmas is the ‘golden cigar’ of the selling seasons, while for others it’s just a nice boost throughout a year of steady sales. 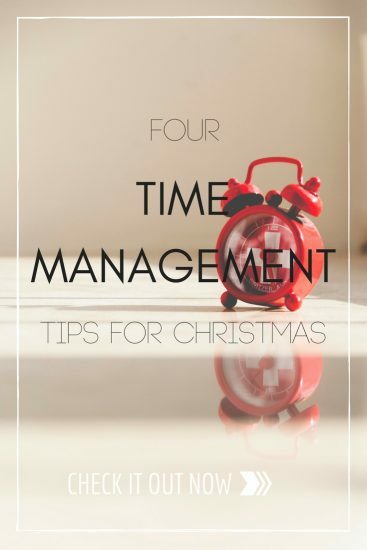 Whether you know this will be your high sales season or Christmas is just a healthy boost, these time management tips can help you make the most of your time. Start off the right way, with a clean workspace and with your supplies in order. Think about the tools you’ll need to use on a daily basis e.g. notebooks, pens, checklists and make sure they’re within easy reach. Also sometimes getting an outside perspective can help streamline your process. Why not have a friend or family member give their opinion on how you could potentially use the space better? Customer confusion is a common issue amongst all businesses, but you can cut down on the back-and-forth with customers by double checking your page copy to make sure they are accurate and informative. This can potentially decrease the number of questions you receive as you will have answered before they have to ask and cuts down on the time between interest in the product or service and purchasing. You could even add a frequently asked questions page to your website to answer common queries. Make sure that you set realistic customer expectations by making your processing time and Christmas order cut off dates prominent and accurate. Being upfront about your limits will benefit both you and your customers, will avoid disappointment and establish a good customer relationship. Support is the backbone of any success so explain to your partner, friends and children how important your business’ success is to you and what kind of workload you have. Tell them that you could use their emotional support as well as them lending a hand with small tasks or taking responsibility for household responsibility that you might normally be responsible for.